Johannesburg is filled with many migrants from across Africa and the world, seeking opportunities in the ‘city of gold’. Many studies ask how global forces and the lives of men shaped this city and region. 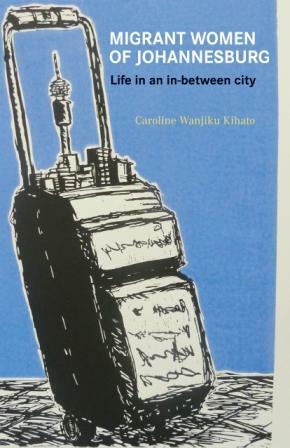 WiSER, in association with Wits University Press, is delighted to launch a new book on women migrants in Johannesburg by Caroline Wanjiku Kihato, turning many of these accounts on their head. Christa Kuljian (WiSER Writing Fellow), the author of Sanctuary: How an Inner-City Church Spilled onto a Sidewalk (Jacana 2013) will lead Caroline in a discussion about her book followed by audience participation and questions. Catherine Burns (WiSER) will chair. Caroline is currently a Visiting Researcher at the School of Architecture and Planning at the University of the Witwatersrand, Johannesburg, and began her life in South Africa as a street trader. In her new book she uses narratives and images to explore the lives of women in Cameroon, the Democratic Republic of Congo, Congo Brazzaville, Nigeria, Rwanda, Burundi, Kenya, Tanzania, Uganda and Zimbabwe, now living in Johannesburg. Using their stories of love, illness, fears, children, violence, family and money, she explores women’s relationships with host and home communities, the South African state, economy and the city of Johannesburg, exploring migrant women’s fluid lives against the backdrop of a city that is also in flux. The book examines what it means to live in Johannesburg, yet remain dislocated there; what its means to be in the inner city, yet aspire to live elsewhere; and what it means to be both visible and invisible in the city. 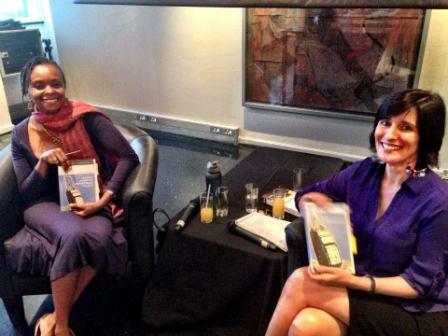 The event was extraordinarily successful: check out BooksLive's report on the evening.